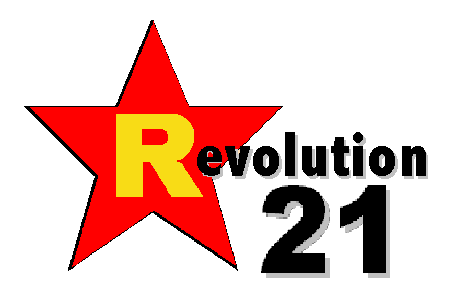 Revolution 21's Blog for the People: Robert E. who? Way down yonder in New Orleans, Mr. Mardi Gras thinks it would be a fine idea to rename the former Lee Circle (as in Robert E.) as Mardi Gras Circle . . . in the name of unity and fraternity. As New Orleans celebrates its tricentennial, it is worth noting that Mardi Gras has been an essential part of the city’s history for more than half these 300 years. Street masking and private balls occurred in the late-1700s. In 1857, the Mistick Krewe of Comus presented the first organized Mardi Gras parade in New Orleans. In 1874, 10 years before the Robert E. Lee statue was erected in New Orleans, Rex paraded past the area, then known as Tivoli Circle. For 142 years, families have gathered in harmony to enjoy hundreds of Mardi Gras parades that have passed the site. For decades, the city erected official parade-reviewing stands at the circle. Today, all 34 New Orleans parades roll past this location. 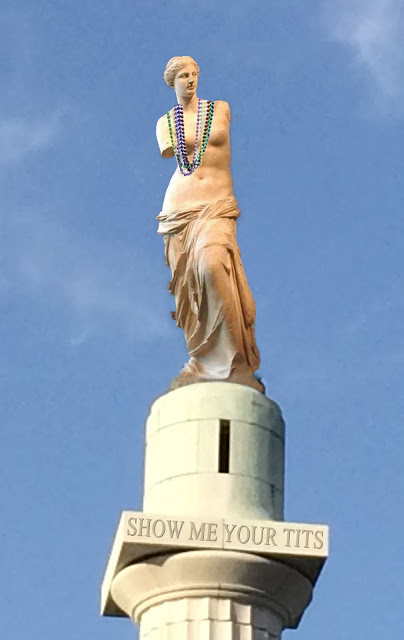 Finally, Mardi Gras Circle would fill a long-standing need for a monument in downtown New Orleans that commemorates the city’s oldest and largest local festival and world-class tourist attraction. Visitors to the city are amazed that as important as Mardi Gras is to our image and our economy, there exists no monument to it other than a fountain on the lakefront, four miles from downtown where the parades roll. Mardi Gras Circle could itself become a tourist attraction. METHINKS Arthur Hardy and the Mayor’s Mardi Gras Advisory Committee are on to something big. Real big.